As my son Michael is in his sophomore year in high school. I can't help but think of the resources and tips that would have helped me as a parent. For the most part, Michael has always been the only child in the home, and to be honest with you. I didn't like homework as a child, so I was not looking forward to it as a parent. However, I didn't allow that to stop me with doing my very best during homework time. I know, you really just want to get the homework over and done with. I get it. Been there, done that! However, it's so important to know when to take a break for you and your child. Studies have shown that it's very important to take a break during homework time. Especially as your child is getting older and the homework expectations are increasing. During college, I've learned that one of my favorite subjects is history and I love helping my son when he has history homework. However, that's not the only subject he has. When he was smaller, it was super easy to brush up on my math skills. YouTube and Google search has truly been my best friend. Now that he older and in high school. I seek assistance in the areas that I'm not too confident in. Our local library offers free tutoring and a lot of the tutors will assist with a range of subjects. Learn what resources are out there. Communicate with other parents. Maybe you guys have children the same age, and they're good at math and you're amazing in English. Some people really don't mind helping if you just ask. They may even have a child in the same grade or a litter older who excels in the subject. If they're unable to assist you, many people know of amazing tutors that they could refer you to. It's so important to communicate with your child's teacher. Ask for resources that will assist your child for their class. A lot of teacher love to help in any way needed. A lot of teachers will also give an outline of the year/semester so you're able to see what the expectations and assignments will be moving forward. If you have a question about an assignment, ask. Our children had a snack and we talked about their day as soon as they got home from school. Next immediately came homework. Great ideas you have. I always had my kids do their homework after a quick snack. That way it was over and done with and we could spend family time together. These are some great tips. My kids sometimes struggle with homework, especially when it's math. They have gone in for tutoring, and that seems to help. This is a definite struggle in our house. All tips are welcome to make life easier when it comes to homework. We usually do a snack and then have a small break and then work until they are done. 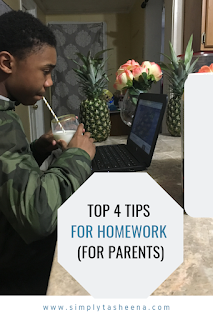 My oldest is now getting steady homework in second grade, and I could see already how parents need to be aware of strategies to help their kids cope with increasing workloads and difficulty. These are some very good pointers. I have older kids now and doing homework used to be a chore when they were younger. I have to admit we were always the ones people came to with questions and guidance, but that was ok. These sound like some great tips to helping kids get their homework done. I remember absolutely hating having to do it when I was younger. Dealing with loads of homework can be tough for both parents and children alike. Your tips all seem like great ways to keep the stress level down. 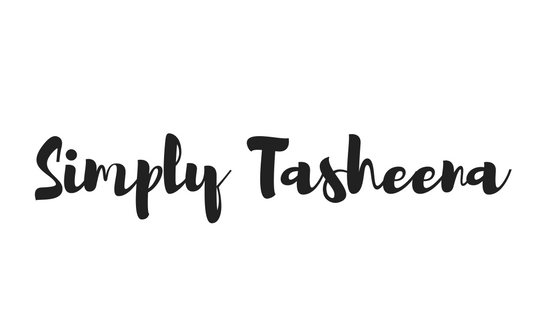 Fab tips here! I have four children and really struggle with the amount of homework the kids get. It can be overwhelming for them and for me! Communication is key! Sounds good. A rule of thumb for homework is 10 minutes per grade. So a sixth grader might have 60 minutes of homework a night. This is so good. Knowing when to take a break is so important... for everyone involved! I'm so bad when it comes to homework. Honestly, the new way they do math completely confuses me. It's been years since I've had to help my kids with homework and you offer some great tips. Definitely know what your own strengths and weaknesses are and get help when you need it in coaching them! I need all the tips and hacks in the world when it comes to homework! Thanks for sharing these! Knowing when to take a break is important. I let my son take his time when it comes to his homework. My kids do their homework after their school snack. Their papa help them. Yes taking break is always best thing.